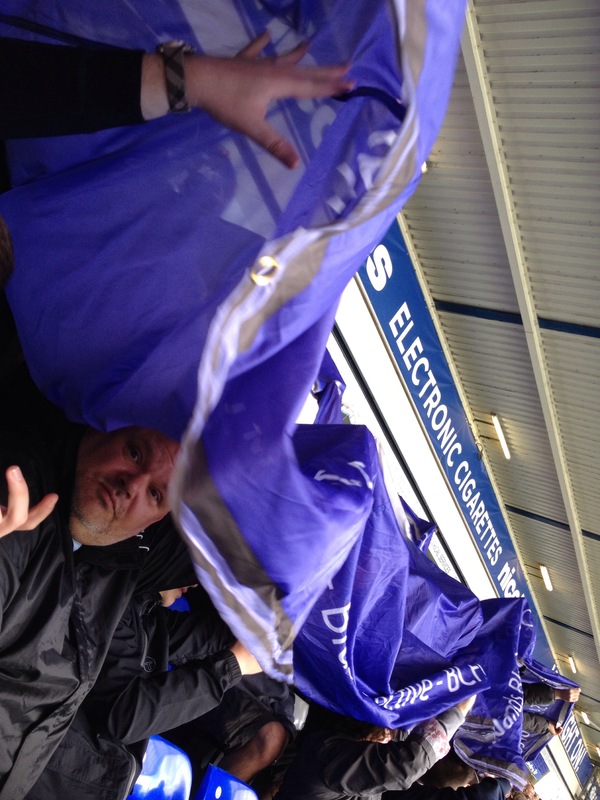 Saturday saw me and my friend Chris visit St Andrews for the “2nd leg” between our teams. After the totally unexpected 4-0 win for Leeds back in October the season has seen both of our sides struggle for any type of consistency. If anything Leeds record of 2 wins in our last 3 suggested we would go into the fixture as the form side. Either way Birmingham who currently have a European record of having the worst home form this season needed to win. Precariously positioned just above the relegation zone before kick off, it was a time for Birmingham to show some belief and fight for a result that their season depended on. In a strange twist to previous Away days, I found myself sat in the Home End, so saw the games events from a different viewpoint to normal. Birmingham find themselves in a position that Leeds fans are all too familiar with. They are in an ownership quandary with Carson Yeung currently in jail for money laundering and are trying their best to keep the club running until the seasons end. The squad is unbalanced and there are a handful of players who are either young and inexperienced within the ranks or those who have been injured with very little playing time behind them. The fans that turned up today were very vocal in their support and managed to keep the 3,000 traveling support from Leeds quiet during a disjointed first half. A half that was full of probing intent from Birmingham should of seen them score within the first 5 minutes, when put through on goal the young Adeyemi could only lift his shot over the frame of Butlands goal. That was a warning shot in the arm for Leeds and despite lengths of possession the home side couldn’t test former star Jack Butland in the visitors goal. Towards the end of the first half Leeds produced the first shot on target, when Michael Tonge tested Randalph with a low shot. 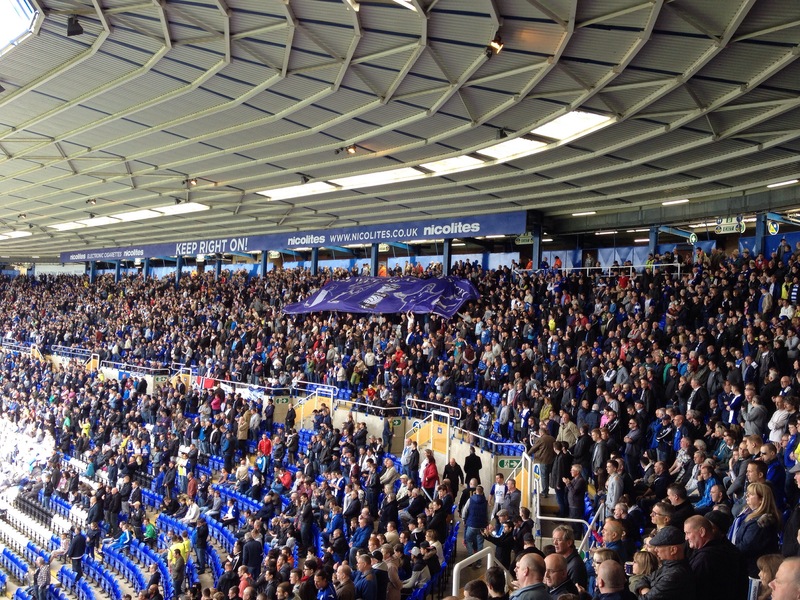 As half time came around there was a positive feel amongst the Birmingham City support who had earlier displayed a flag showing their support for the club whilst venting frustration with the current regime. Whilst drinking Bovril at half time the conversations between surrounding home fans suggested that this was the best they had seen Birmingham play in a while. From a Leeds point of view, I could see how by hounding the players, they were preventing us from having any real possession which in turn created rushed and hurried plays resulting in lost causes. The second half couldn’t be any worse and the feeling was if we could make some chances that a goal wouldn’t be beyond us. Quite how the second half would turn out following my brave +3.5 goal prediction before the game was a surprise to all. The sun was out following a period of gloomy rain and the same confident, assured Birmingham side had suddenly appeared to have lost their game plan. The chasing down the ball and clean tidy passing had stopped and Leeds soon realised that there was an opportunity to take advantage of this. The home support could see what was happening and with Leeds first real attacking move of the game, Michael Tonge crossed to Matt Smith who duly headed past the stranded Randalph in the home goal. Before the crowd could take breath and assess what had just happened, Leeds went straight back up and a cross wasn’t dealt with properly and Danny Pugh who I had earlier lambasted for being inconsistent drove the ball home from just inside the area to make it 2-0. These two goals in two minutes suddenly transformed the once positive St Andrews crowd into a frenzied vocally discontent bunch. Fans got up and left as a familiar ringing of Leeds fans started chanting “We’ve only come, to send you down” echoed around the ground. It was at this point Blackpool scored at Wigan to confirm Birminghams slip into the bottom 3. As I sat there trying to show my concerns and frustrations, Leeds put together a passing move that felt like an eternity to the Home fans. Each pass was greeted with an Olay and it was at this point it was over as a contest. Leeds made it 3-0 when a McCormack cross was turned into his own net by Caddis and a farce of substitutions by a desperate Lee Clark caused a further wave of disgruntled home fans to leave. It was at this point Macheda the most recognized striker who was brought on, scored a consolation with his first real touch. 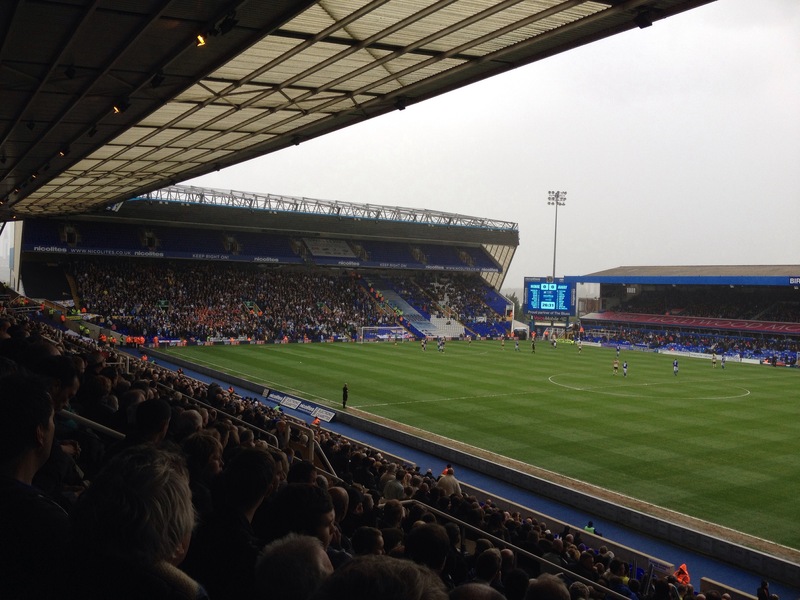 The frustrations were clear to see as Birmingham suddenly looked like a team who could play. A second goal nearly came, but as the game fizzled out after a nasty injury to Alex Mowatt (who required stretchering off) the game ended. Being a Leeds United fan isn’t easy and this season has had far more downs than ups, but the world hasn’t stopped turning around. This was a great win and it’s when things like this happen, you truly appreciate the frustrations of other teams who are in similar situations. We are very very fortunate to have an amazing fan base and it is because of this that we finally appear to have attracted an owner with the financial clout to manage our demanding expectations. I really hope Birmingham City avoid relegation and our 7-1 aggregate win can be challenged again next season in a rematch. Birmingham fans deserve better and their summer will be an important one, Wigan at home this Tuesday is also their cup final. For us it’s been a solid end to a season of unfulfilled promise. A final day win at home to Derby next week would be an unlikely strong end leading into a Summer of excitement and change. I’ve seen 6 away games this season and was fortunate to see 3 wins at Charlton, Yeovil and this game at Birmingham. The defeats at Reading and Burnley were frustrating but the one beating we took at Watford was deserved. Posted on April 27, 2014, in Leeds United, Sport and tagged away, birmingham city, cellino, championship, Football, Leeds United, mccormack, mot, relegation, st andrews, win. Bookmark the permalink. 2 Comments. Hi John I meant this season so far mate, to be fair I think Yeovil aren’t far ahead of Birmingham this season at home.